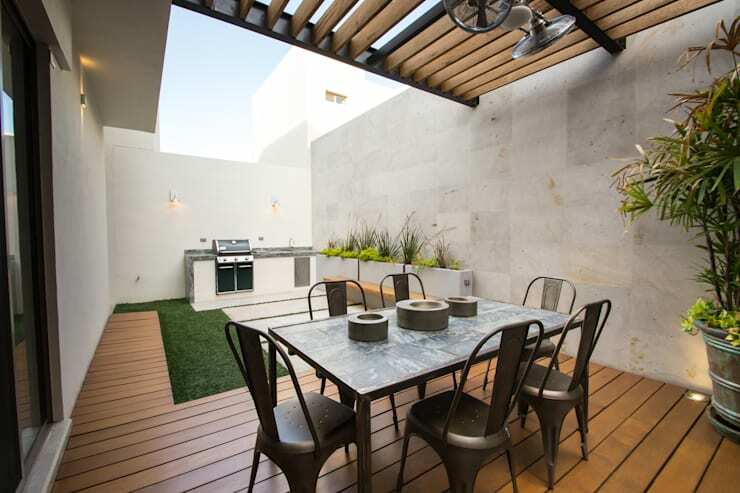 There's nothing more amazing and welcoming than an awesome terrace, and this homify feature showcases just that… patio and terrace inspiration! The 20 tips and tricks included here are sure to have your outdoor area looking fabulous and fascinating without compromising on style and sophistication. 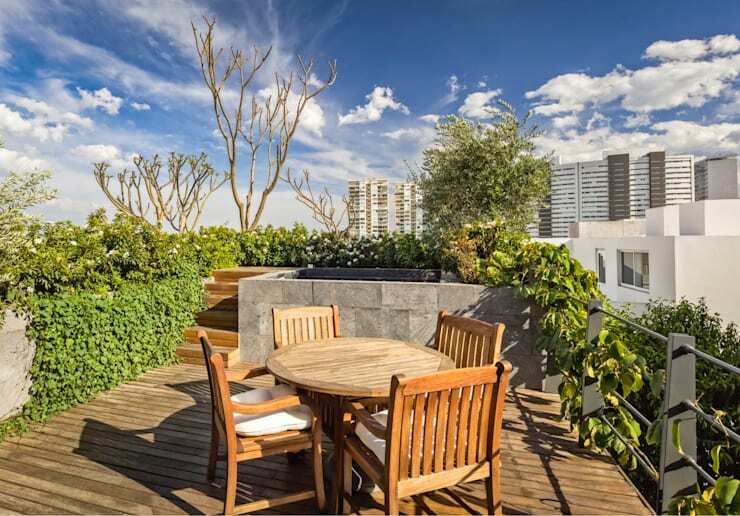 An attractive, modern, retro or quaint terrace is the perfect way to liven up your living space in chic style, whether you want to include a stunning seating area, an outdoor dining zone or even incorporate your garden in Zen design. 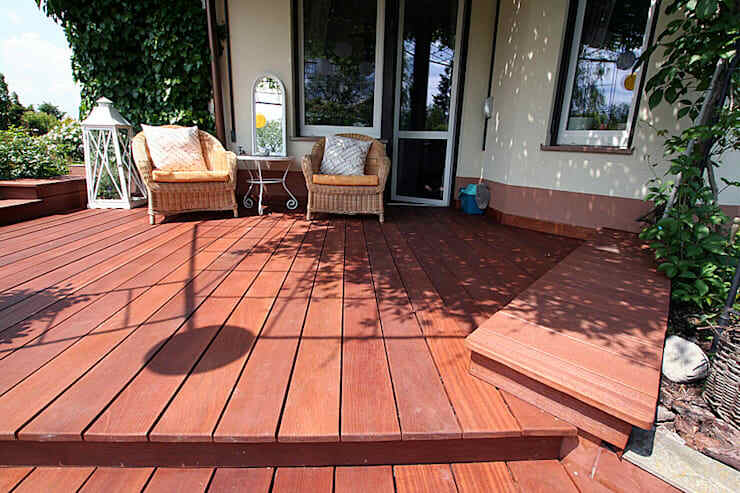 This article includes ideas to upgrade your flooring, add some elegant furniture and fascinating accessories that are sure to create an outdoor area that is the epitome of comfort and relaxation. 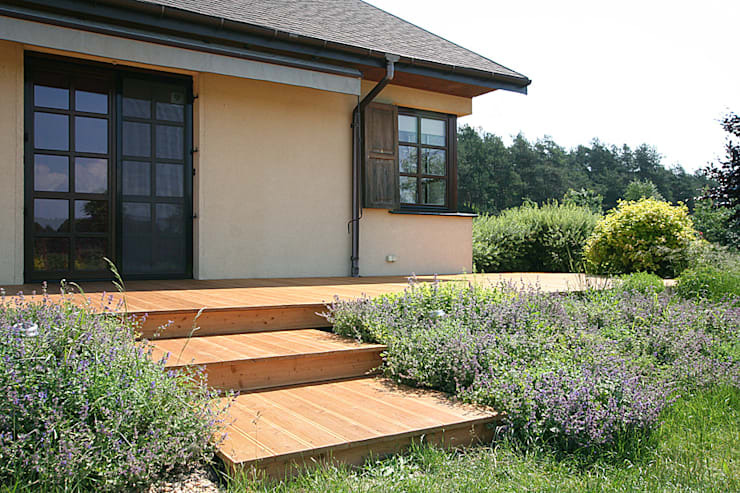 Wooden flooring is a great way to upgrade your garden while keeping that grassy area intact. 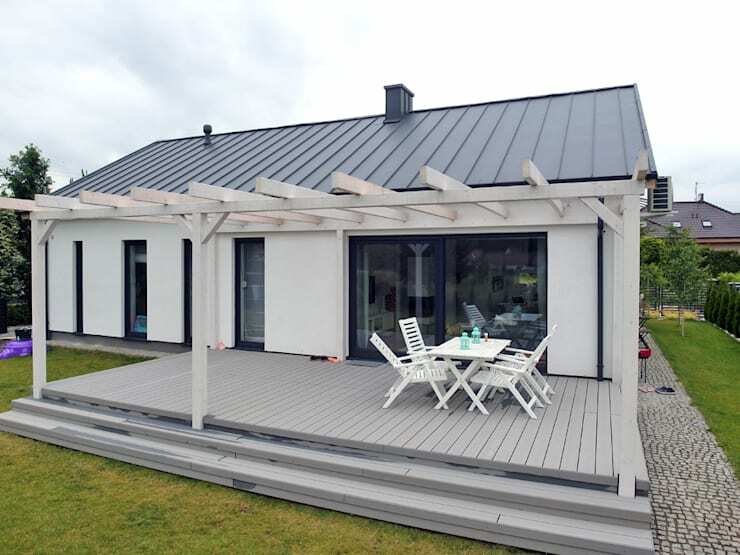 Add a wooden roof to that outdoor zone so you can appreciate the fresh air regardless of the weather. Decorate the patio area with some perfectly placed wooden pieces and you'll instantly enhance the style of a bland space. The natural colour of the wood and the stripes of the patio furniture are a great match for a cosy ambiance. The outdoor grill area is also covered, so there are no excuses to enjoying a grill… come rain or shine, you'll always have braai. 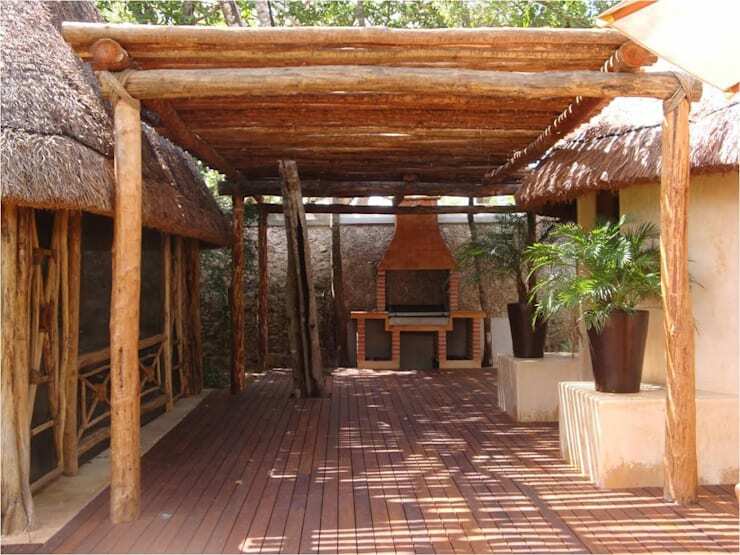 Wooden patio furniture and wooden flooring is great for a terrace with a rustic design. 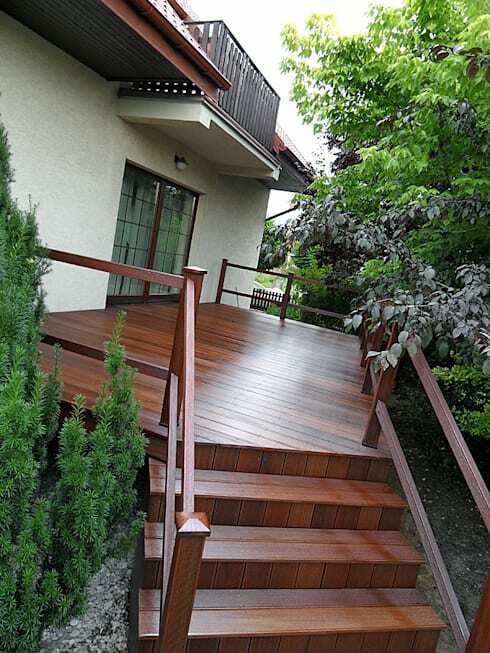 Although wood generally gets completely ruined when it comes into contact with water, as long as the wood is treated and cared for, it should last a good few years. 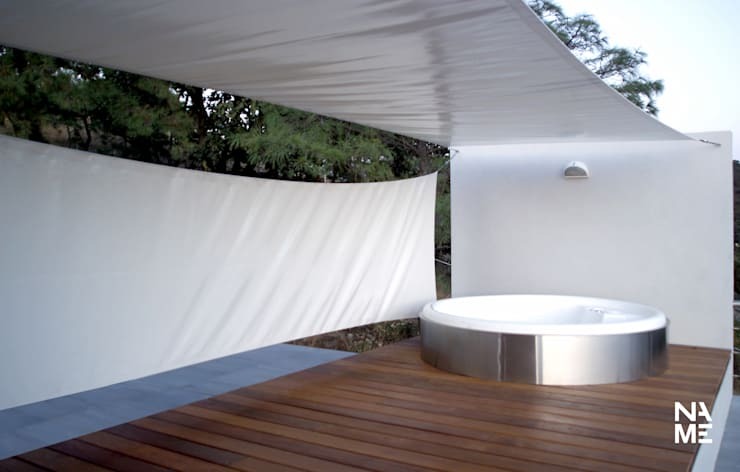 It also looks sleek and stylish at your Jacuzzi! 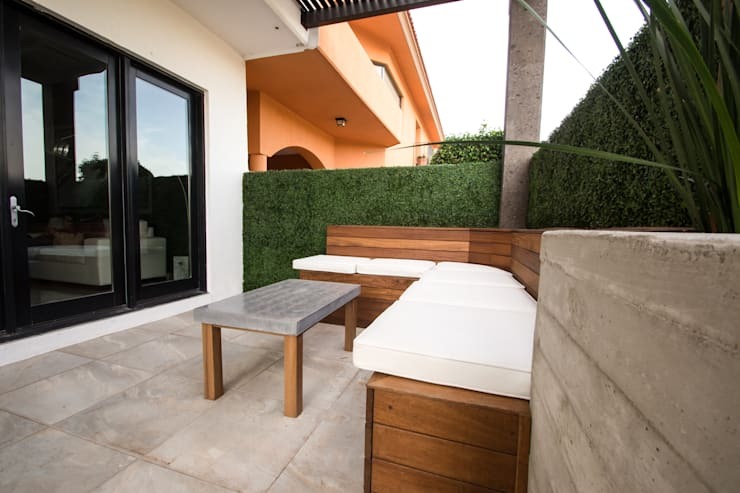 In the patios the maximum benefits are obtained when several materials intermingle, because each gives the best of itself in favor of the best use and enjoyment of the area; That is why it is remarkable how the pain can combine wonderfully with stone, concrete, cement, brick, etc. 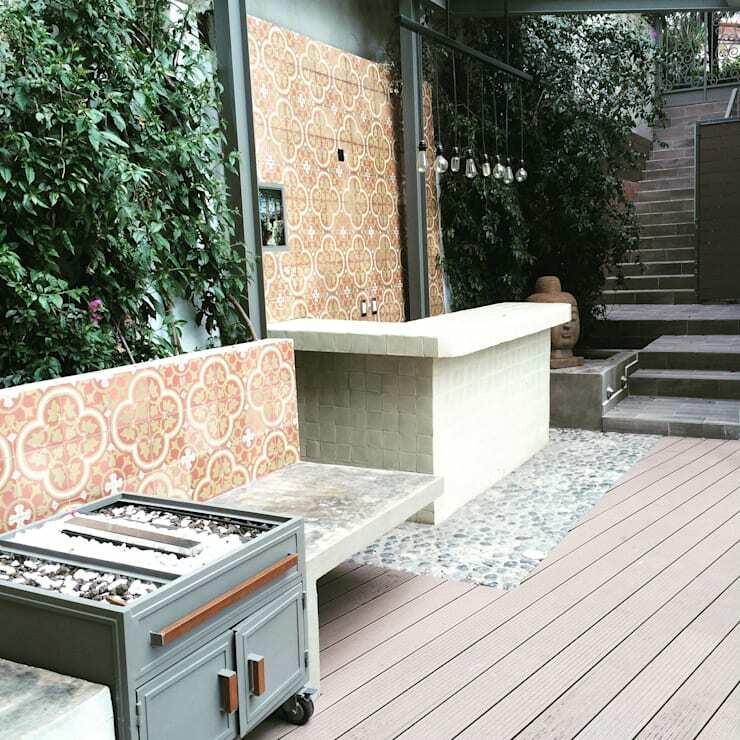 Wood, stone, bricks, concrete and ceramics, now that's a wonderful way to decorate your patio. 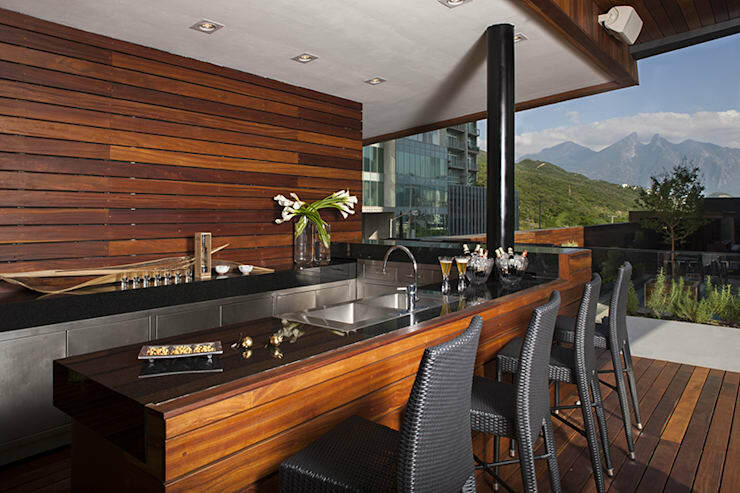 Make the most out of the terrace and include all the modern amenities, almost like a second kitchen! Now decorate it in dark wood and let it appeal to you in comfortable style. Raise your patio above the garden level to keep foot traffic off your prized roses, while ensuring that no one treks dirt inside the living room either. 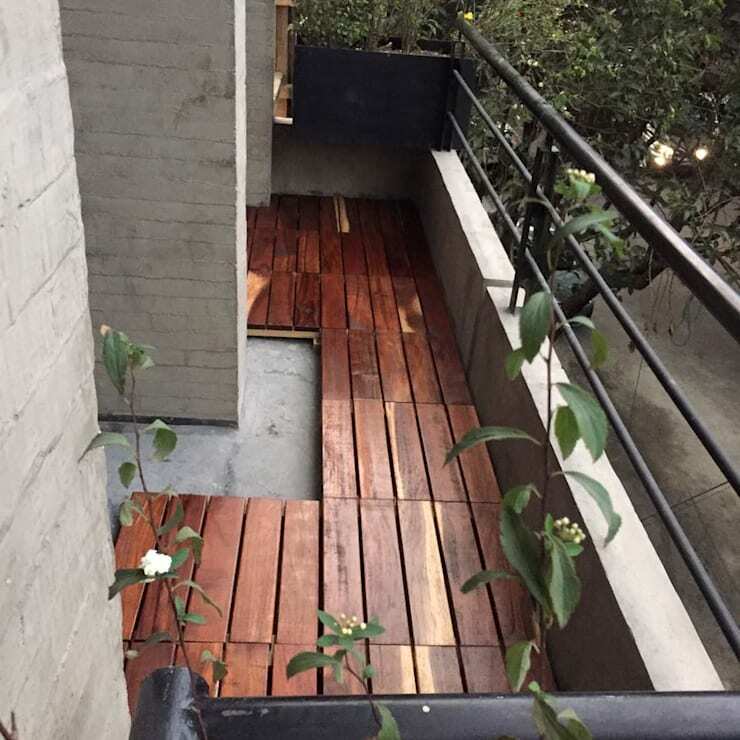 Keep your stairs and patio in the same detail for a seamless design. 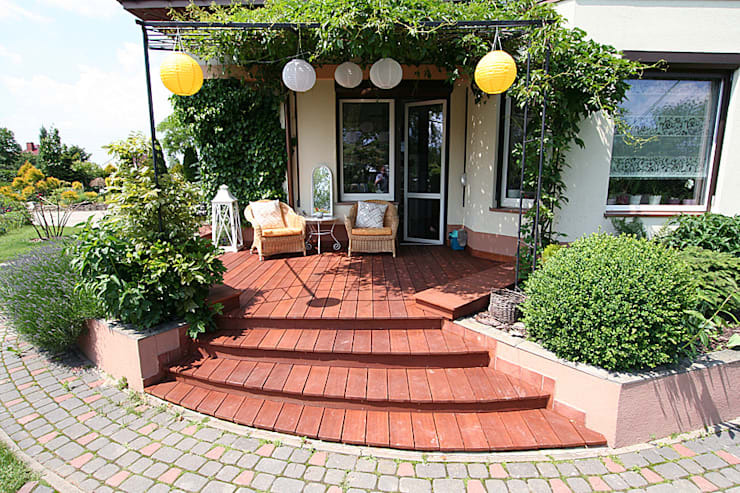 The right material will allow your uneven patio to look excellent with no flaws. 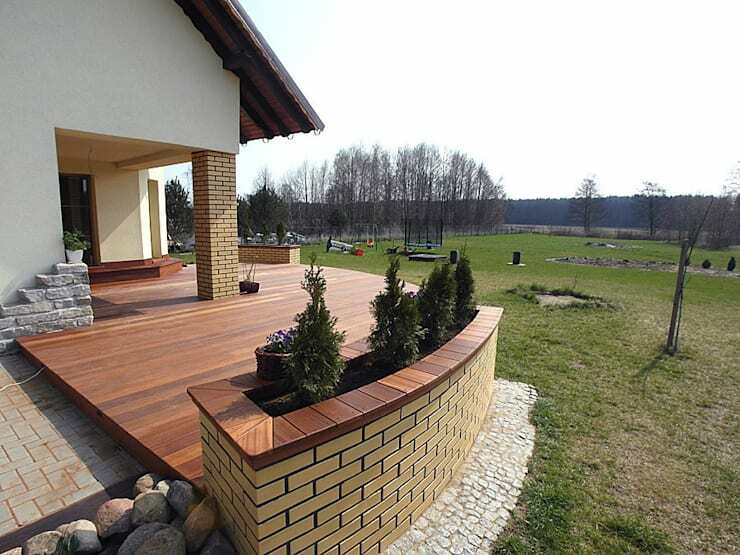 A stone garden in the middle of your wooden deck pays homage to your creativity and unique personality. This patio with its earthy tones is a great way to welcome your guests in comfort and style, while matching the decor of the house perfectly. 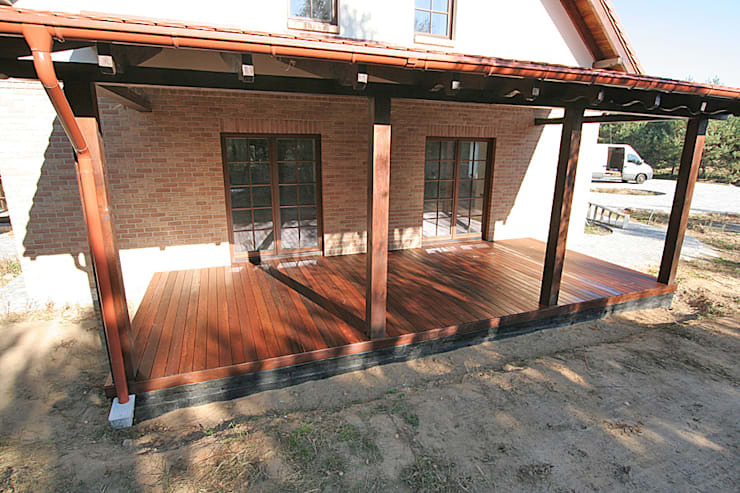 High quality wood is an investment that will look amazing as long as it is well-maintained. 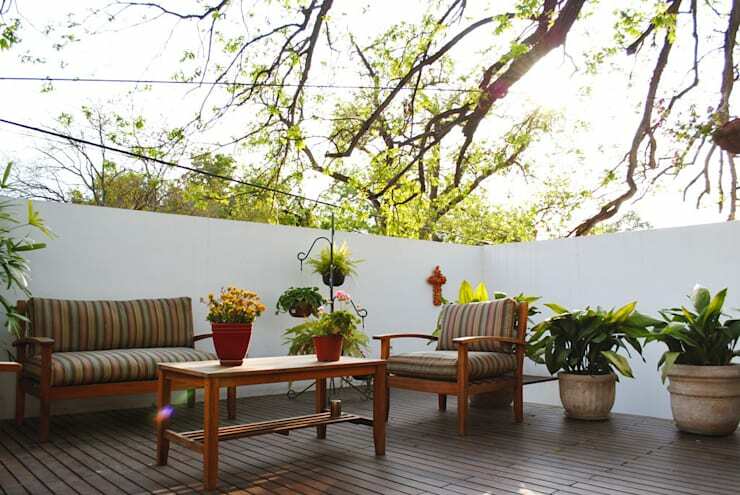 Enjoy the sight of your landscape from your lofty wooden terrace. 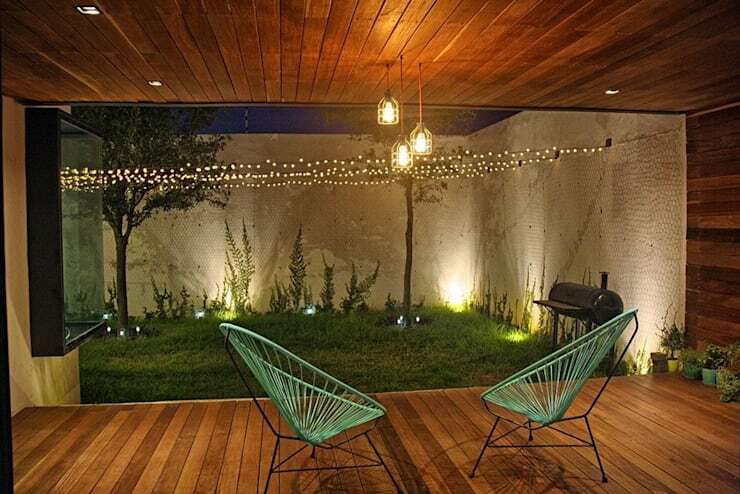 but its the beams that incorporate a vintage design into the patio. 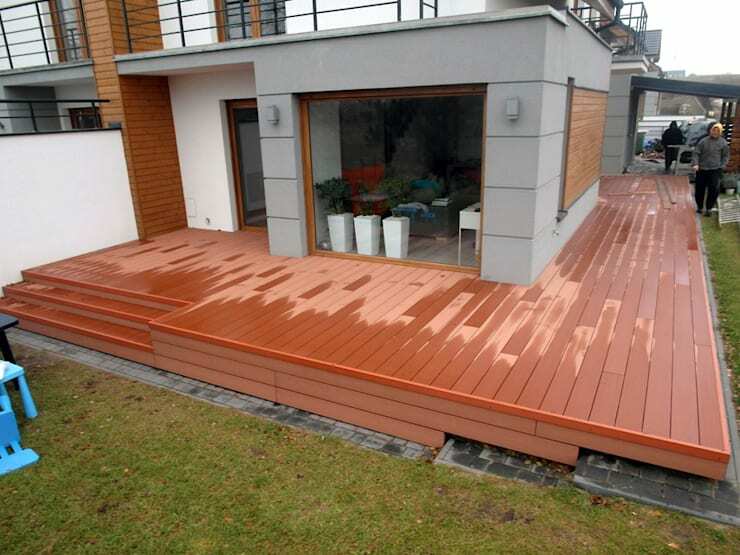 Embrace your creativity with wooden flooring that is painted a modern colour for an ultra-sophisticated terrace. 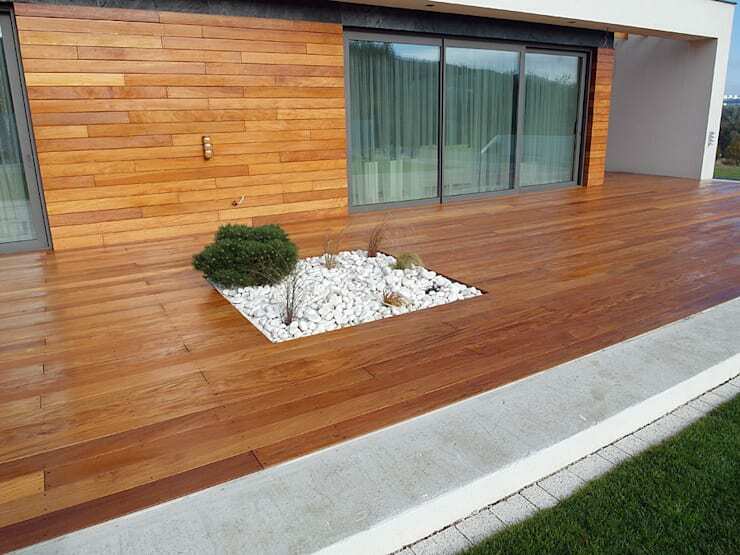 How about a smoothed and stylish wooden flooring idea such as this to decorate your terrace in chic design? How have you decorated your patio?